I'm not jumping on him after the first game of the season. Was he as careless at Arsenal as he has been at United? Yeah he was as careless at Arsenal but the moments of magic over compensated for it. So far the moments of magic haven’t been enough but he should have had 2 assist today. Just seen the stat that he lost possession on 23 occasions. I thought he was poor last night tbh. Martial looked a better player everytime Alexisgot the ball. Last night's Alexis was just a shadow of the Alexis from the preseason tour. Whatever happened to that guy? Alexis needs to step up. He's had a nice summer break and full preseason, so there are no more excuses. His passing has always been sloppy and while he presses from the front he doesn’t really track back and help his full back. However, the moments of magic are supposed to compensate for it but we need to start seeing them as so far has he done anything breathtaking in a Utd shirt? Put it this way if Martial played like that for 60 minutes he’d be getting hooked. Mourinho apparently gave him a roasting from the touch line for giving the ball away late on. See if I can post here without getting this thread closed again! I thought Sanchez was utterly dreadful last night. I'd like to see the stats on how many times Sanchez gave the ball away. Can anyone find out? Tbh I was illustrating how bad alexis was not how good martial was. Fair. As I said in the match thread I’d have had him off for Lukaku and moved Rashford left. Interesting to see if he will drop one of the ‘golden players’ if Sanchez continues playing like he has done. It will just illustrate what is going on at Utd these days if he’s given more game time! I think it will happen but the guy coming in say Rashford or Martial needs to make himself undroppable when he comes in force the manager to make the decision. A lot of the time the problem is the guy fans might want to see isn’t doing the job consistently well enough to force Mourinho to make him his first choice. Periera has a great chance to make that CM spot his as does Shaw at LB if they perform well consistently then they deserve to stay in the team and players like Matic & Young shouldn’t be rushed back in. 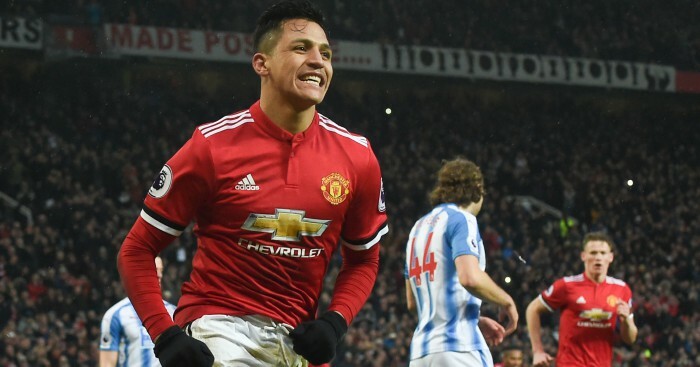 My concern with Sanchez is have we done a Rooney given a 5 year mega contract to a world class players who finished his peak years and is about to decline. I do wonder who’s idea it was to sign Sanchez? Did Jose insist on the signing or was he a Woodward big name marketing signing? Sanchez was definitely a Mourinho signing. If not he’d have not been given the time he’s getting. Probably would have come off if likes of Fred, Pogba and Rashford were fit enough to complete the game. Mourinho said after the game he wanted to bring Martial on to improve the counter attack. Sanchez needs to be a lot better. He said the other day he was disappointed the club didn’t bring any world class players in, he needs to look at himself. My thinking was more did Mourinho ring Woodward and say I think we go for Sanchez or did Woodward ring Mourinho and say I can get you Sanchez do you want him. It just sniffed a bit of a we can get him so we should rather than we need to get him to solve a problem. Sanchez coming has created more problems than it has solved so far that’s not to say it won’t suddenly click into place but it still doesnt feel right. An example on Friday Sanchez pings a beauty of a cross field ball to the other wing play develops and the cross comes in from the right to the back post. Lukaku could go for it but it would be a stretch so he leaves it expecting the LF to be coming at the back post but Sanchez never continued his run so the ball goes harmlessly out. Now Sanchez might not have got there in time but it was a glimpse of our attack not knowing where each other are hopefully over time this improves but annoyingly Lukaku missed the entire pre season because of World Cup. You can just see that they’re not all on the same wavelengths not spotting each other’s runs, playing it to early or to late or playing the ball wrong side of where they want it all little things but at the top level makes a huge difference. Or they decided to sign Sanchez to prevent him from joining City. I'm starting to think this was the real motive behind the move. The same way I'm starting to think that Mourinho never wanted Pogba and his signing was more for the sake of marketing. Any word yet on his absence vs Brighton? Mourinho: "Alexis was going to play but he had a little problem, so we had to decide to give an opportunity to another attacking player." He was asked again after the match when he expects to have his No7 back available: "I don't know. Let's wait for the studies. I would say one week or two weeks maximum." I think Sanchez dodged a bullet yesterday, another bad performance by him in a game like that and fans would have been right on his back! Think he was exactly the sort of player we needed yesterday the spaces were so tight and he's got the ability and touch to keep the ball close to him and maybe provide a breakthrough by creating a chance for himself. It was hard to pick up on TV because you don't have the angle but it felt like there was zero movement up top yesterday when our midfield got the ball. Sanchez would have come deeper and tried to get involved in the play at least. Much like Pogba even when playing badly he doesn't put his head down and avoid the ball he goes again and tries to pull something off. Exactly and in the absense of Sanchez Pogba was the only guy who wanted the ball yesterday and he was clearly having an off day and struggling and no one else really seemed prepared to take over and try to make something happen. I see he’s being compared to Rooney again. He was our best player once he came on. Don’t know why them comparisons are being made and only heard them here. If anything Lukaku should be dropped and him or Rashford put through the middle. Let’s play a fluid front 3. I'm not Sanchez biggest fan since he arrived, he's been very poor but tonight he did ok when he came on. Ok but not great. Rashford has done nothing to suggest he would make our play any better if he replaced Lukaku. He looks out of his depth as the main man up front and still very raw. I do agree that Sanchez at least tried to make things happen when he came on. He’s a certain starter for the next game but he has to do it from the start of games and really influence. Sanchez was ok when he came on. After what I saw yesterday I'd be having Sanchez playing up front and Lukaku on the bench. me too, and it would wind Raiola up more. Lukaku gets his goals against fodder or when we are winning. He doesn't do it when it's really needed. He looks off the pace. No pre season and hardly any holiday after his first season at a big club playing 50 odd games personally I'd consider benching him in the next game away at Burnley think he'll be back to his normaly self after the internationals might need to ask Martinez to give him a bit of a breather so he can work on his fitness. I'm sure the good Rom will be back at some point but we need it quickly.